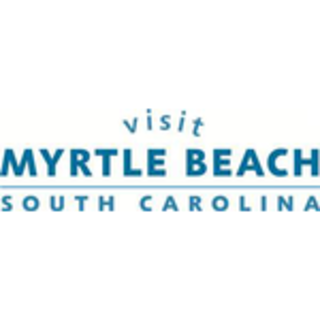 April 1, 2019, Myrtle Beach, S.C. — Broadway at the Beach, an experiential retail and entertainment center located in Myrtle Beach, South Carolina, announced new merchants joining the complex for 2019. New restaurants joining Broadway at the Beach include Bar Louie and MELT. Bar Louie, the nation’s hottest Gastrobar, is dedicated to revolutionizing the guest dining experience. 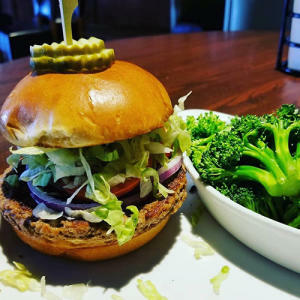 Serving shareable, chef-inspired grub, craft cocktails, and local beers, Bar Louie is scheduled to open this summer in The Avenue, between Carolina Comedy Club and Crocodile Rocks. MELT, also scheduled to open this summer in The Avenue, will be a lunch, dinner and late night spot to eat featuring an industrial style feel and a brick oven focal point to welcome people in. 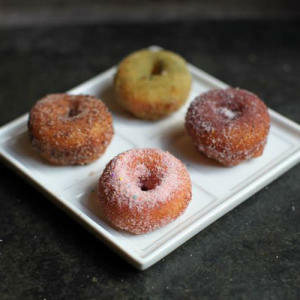 The menu consists of handcrafted grilled sandwiches and wood-fired pizza with every recipe used, unique to their own. MELT will also offer a variety of beer, wine, and specialty drinks. 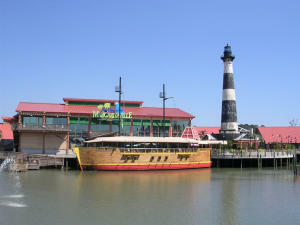 Additionally, Toysaurus, a children’s toy store, is set to open in the Charleston Boardwalk area, and a new coffee shop will debut in the New England Fishing Village across from Liberty Brewery & Grill. 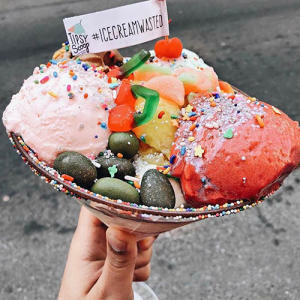 Also in the New England Fishing Village, the Doughnuttery, an innovative, family-owned doughnut shop, and Tipsy Scoop, an alcohol-infused ice cream and sorbet shop, have both opened inside of IT’SUGAR. 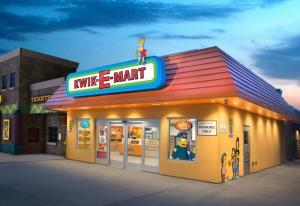 The Simpsons in 4D recently opened next to Kwik-E-Mart at Broadway at the Beach. A new dimension of family fun, this first-of-its-kind attraction features Springfield’s Aztec Theater with a fully themed lobby and 4D theater experience featuring Homer, Marge, Bart, Lisa, and the youngest Simpson, Maggie. Tickets can be purchased at the box office. Other experiences coming to Broadway at the Beach include BODIES HUMAN: Anatomy in Motion. Scheduled to open in April, this world-class exhibition, comprised of actual human bodies and organs, will take an inside look at the human body. The exhibition, located next to Jimmy Buffett’s Margaritaville in Heroes Harbor, will be on display through September 29. Charles Bach Wonders, a live magic and illusion show starring international illusionist Charles Bach, will open in June. An imaginative and interactive theatrical experience, Charles Bach Wonders blends mind-blowing magic with whimsical breathtaking visuals, taking audiences into a world where the rules of reality no longer exist. For more information about Broadway at the Beach, visit www.BroadwayattheBeach.com, call 1-800-386-4662, or follow on Facebook, Twitter, and Instagram. 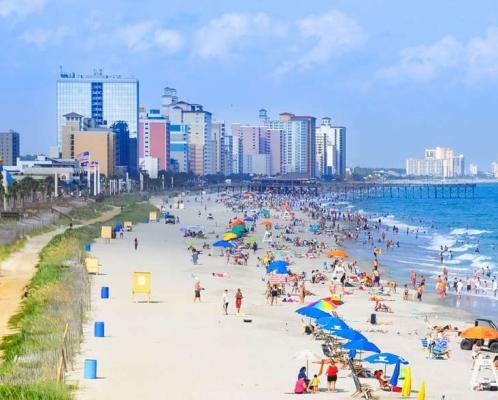 Broadway at the Beach is South Carolina’s number one tourist, shopping, dining, and entertainment destination attracting millions of visitors annually. Broadway is set on 350 acres in the heart of Myrtle Beach and features world-class shopping, dining, and entertainment in a series of magical, interconnected villages, surrounding the 23-acre Lake Broadway. Broadway’s distinguished tenant mix has something for the whole family: popular attractions; outstanding restaurants and eateries; extraordinary specialty shops with national and local brands; and first-rate hotels. A past recipient of the South Carolina Governor&apos;s Cup, it was deemed the state&apos;s best travel destination by the South Carolina Department of Parks, Recreation & Tourism.